Matthew has continued selling limited quantities of winter squash to Five Bistro throughout the winter. For previous deliveries, he dropped by on his way home from the garden in the car. For last week’s mid-week delivery, I loaded up the bike trailer, since we already had the produce at our place: fifteen pounds of squash and fifteen pounds of sweet potatoes. A flatbed trailer would be much better suited to hauling cargo than the child trailer, but I manged to fit the produce AND a passenger. 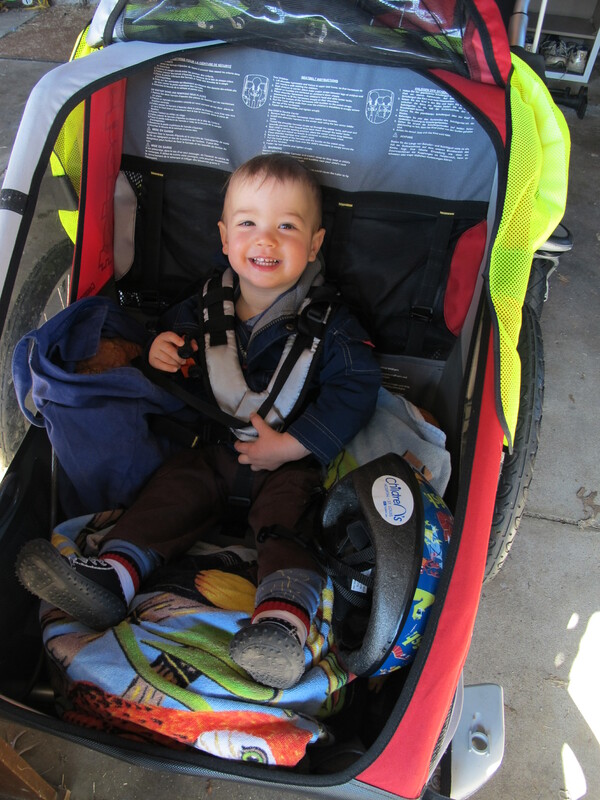 With a squash on either side of him and sweet potatoes under his feet, Sir was a bit cozy on the way there (about 3 miles, I think), but he didn’t complain. The delivery went smoothly and we visited a new park before heading home. Fun to see our name on the menu (even if that’s not exactly the squash variety — I’m guessing they chose a simpler, more self-explanatory name for diners?)! Amazingly enough, I’ve posted every. single. day. this week — pretty much a miracle. The timing of this post is also amusing, given the inches of snow and ice currently covering our streets — I would not be attempting this delivery today unless I could get there on foot! 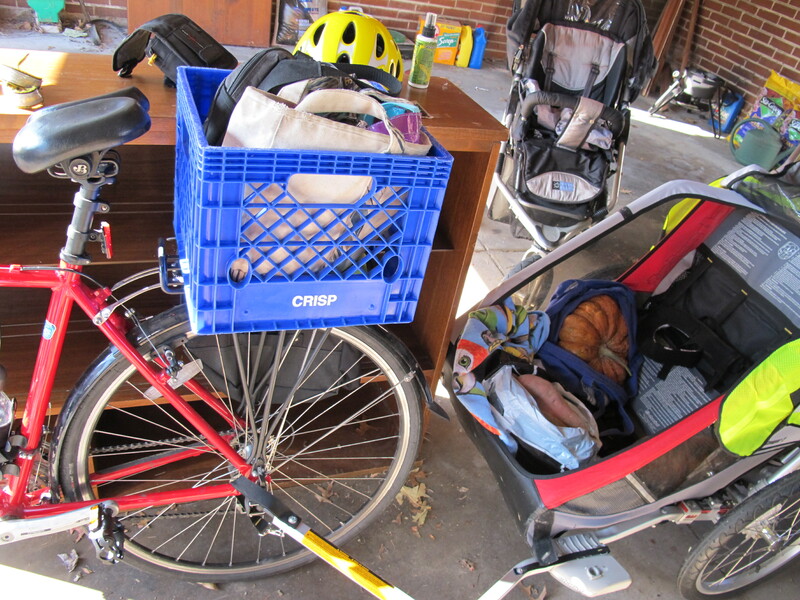 This entry was posted in Biking, Garden and tagged biking with baby, eat local, winter squash. Bookmark the permalink.